Find Roswell, GA Condos for sale. View Photos, Maps and MLS Data Now! Mosspointe - W/In Walking District Of Canton Street, Roswell. MLS#6541041. Harry Norman Realtors. Centennial - The Family Room Has Built-In Cabinets, Fireplace & A Computer Room Walk Through To The Living Room. Swim/Tennis. MLS#6541022. Duffy Realty Of Atlanta. Martins Landing - Amenities Include 55 Acre Martin'S Lake, 15 Tennis Courts, 3 Pools, Playgrounds, Nature Preserve, Creeks, Numerous Walking Trails Surrounding The Lake & Ponds, Biking Trails, Wildlife & The Beauty Of Nature Around It. MLS#6540642. Realty One Group Edge. 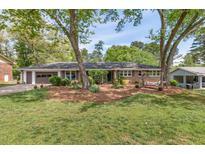 Martins Landing - A++ Location/Schools/Interstate Access/3 Pools/15 Tennis Courts/Riverwalk/+ Coveted Historic Roswell! Hurry! MLS#6541050. Coldwell Banker Residential Brokerage. Come Take A Look. This Home Will Not Disappoint. MLS#6540226. Berkshire Hathaway Homeservices Georgia Properties. Hidden Pond - Walk To Daycare! Award-Winning Mountain Park Elementary. MLS#6532694. Keller Williams Rlty, First Atlanta. Valley Forge Estates - Convenient To Shopping, Restaurants ,Hwy 400, And All That Roswell Offers! MLS#6540232. Berkshire Hathaway Homeservices Georgia Properties. Wynfield Estates - The Extended Patio Spans The Width Of The House And Offers Unmatched Outdoor Living Space Overlooking Level, Fenced Backyard. MLS#6537807. Berkshire Hathaway Homeservices Georgia Properties. Heatherwood North - County Acreage Incorret. Survey Shows ~ 3/4 -1 Acre MLS#6539801. Palmerhouse Properties. Brookfield - Multiple Porches Overlook The Impressive Outdoor Living W/Infinity Edge Pool & Spa, Putting Range, Sports Court, Wooded Acreage & Golf Course Views. Clubcorp Memberships Avail. MLS#6538400. 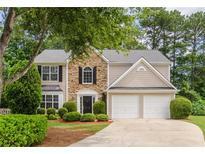 Atlanta Fine Homes Sothebys Intl..
Roswell Station - Finished Terrace Level Offers Full Kitchen, Bonus Room, Full Bath & 2 Rooms For Home Theater, Exercise Or Bedrooms. MLS#6538089. Keller Williams North Atlanta. Willow Springs - It'S A Lifestyle You Will Love It! Stucco On Front Only! MLS#6539391. Harry Norman Realtors. Amenities: Amphitheater, Hilltop Gathering Area, Pool, Clubhouse & Hiking Trail. MLS#6539584. Berkshire Hathaway Homeservices Georgia Properties. Updates And Newer Roof,Exterior Paint,Hot Water Heater,Stainless Steel Appliances & Carpet! MLS#6539288. Re/Max Around Atlanta Realty. Windsor Forest - This Will Go Quickly. Do Not Miss Out! MLS#6539383. Harry Norman Realtors. River Terrace - Don'T End Up On The Wrong Side Of Multiple Offers! Hurry. MLS#6538814. Realsource Brokers, Inc.. Horseshoe Bend - Fabulous Finished Terrace. Professionally Landscaped Pool & Spa! MLS#6538398. Keller Williams North Atlanta. 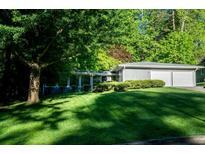 Level Back Yard Backs Up To Wooded Lot For Great Privacy. MLS#6538691. Coldwell Banker Residential Brokerage. Westchester - Swim/Tennis Community With Many Clubs And Events For Adults & Kids! Owner/Broker. MLS#6538975. Authentic Real Estate Firm, Llc. Old Alabama Place - Great Location, Close To Schools, Shopping & Minutes To 400. 1 Yr Home Warranty Include. MLS#6538313. Keller Williams Rlty, First Atlanta. Plantation North - The Outdoor Space Is The Selling Point W/Gorgeous Lush Mature Plantings On A Corner Lot, Fenced Back Yard & Breezy Screened Porch Are Where You'Ll Spend All Your Free Time! MLS#6538945. Keller Williams Realty Atl North.